(BEDFORD) - Born in Thailand, Smiling Tun was just a baby when his parents fled from civil war in Burma. They lived in Thai refugee camps for several years, then moved to North Carolina to start a new life. After high school, Smiling continued his education by enrolling in the Job Corps forestry program. He was able to intern at several national forests including the Hoosier National Forest (NF) in Indiana, the Shawnee NF in Illinois, and the Department of Energy's Savannah River Site in South Carolina to learn new things and get hands-on learning experiences. As he learned more about the Forest Service and worked with a diversity of people, Smiling considered it a possible career path. As it turned out, he was able to land a job in December with the Hoosier NF as a forestry technician in timber sale prep. Smiling lives by the following quote from a professional speaker, Brian Tracy, "Develop an attitude of gratitude, and give thanks for everything that happens to you". Mike Bishop was born and raised in Maryland where he received a bachelor of science degree in park and recreation management. 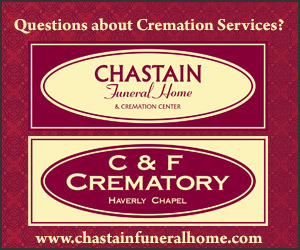 He then served in the Maryland Air National Guard for six years. 2.) addressing the unmet needs of our nation's public lands/natural resource management agencies and organizations. Following his internship, Mike started his career with the Forest Service in 2017 at the Deschutes NF. Initially, he administered special use authorizations on the forest, but ultimately he wanted to steer his career into a realty specialist position. He met that goal by recently starting such a position on the Hoosier NF. Mike will assist during the forest process of purchasing new land from willing sellers. He likes to spend time outdoors, hiking, kayaking, and fishing. Donovan Wilson began working for the Forest Service as a seasonal biological technician on the Chugach NF in Alaska in 2000. He then moved to the Huron-Manistee NF in Michigan and held permanent positions as biological and cartographic technicians. 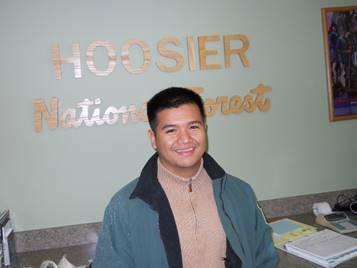 Donovan recently started at the Hoosier NF as a geographic information system specialist. He's settling into his new home in Bedford with his wife, three dogs, and two cats. Danielle King was recently promoted to a position that leads the forest's visitor services and interpretation program. Danielle started her career in interpretation and education as an environmental educator with AmeriCorps Vista at the Shawnee NF in Illinois. In that position, Danielle worked with the Forest Service and the University of Illinois to establish relationships with schools, not-for-profit organizations, and other community entities. She helped build a network of volunteers and developed outreach methods and materials. During her time with AmeriCorps Vista, she also gained a lot of experience in interpretive programming. After her time in AmeriCorps, Danielle went on to become an office automation clerk on the Shawnee NF, then a customer service representative. She joined the public affairs team at the Hoosier NF in January 2017, as a visitor services information assistant.